Bechtel Global Scholars Program awards 25 scholarships each year to children of Bechtel employees who will be attending college for the first time. 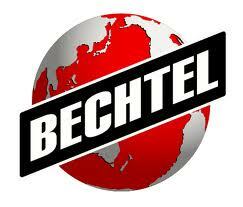 Eligible students must have parents who have been employed by Bechtel or one of its subsidiary companies for at least one year. Students must plan to enroll full-time at an accredited two-, three-, or four-year college or university or vocational-technical school and be first-time college students. Students may apply regardless of their financial status. The scholarship is one time only and not renewable. Applications are evaluated on academic performance, leadership capabilities and participation in extracurricular activities, career goals, and community service. Financial need is not considered. Priority will be given to students pursuing degrees in science, technology, engineering and math. The scholarship is funded by the Bechtel Foundation, the charitable arm of Bechtel, a global leader in engineering, construction, and project management. Established in 1898, the family-led organization has completed 23,000 projects in 140 nations and seven continents, including Hoover Dam and the San Francisco Bay Area Rapid Transit system.